A public welfare program aiming to share stories of panda-human relationships has been unveiled to the public, presenting China's tremendous ecological conservation achievements in protecting the endangered species. China Network Television's iPanda channel and the Chengdu Research Base of Giant Panda Breeding jointly launched the Worldwide Giant Panda Keeper Volunteer Program in order to enable the public at home and abroad to gain a better perspective of giant panda breeding. A total of 27 young people from around the world are selected to come to Chengdu, capital of southwest China's Sichuan Province and known as "home of the panda", to undergo closed-door, professional training and witness the breeding of giant pandas. 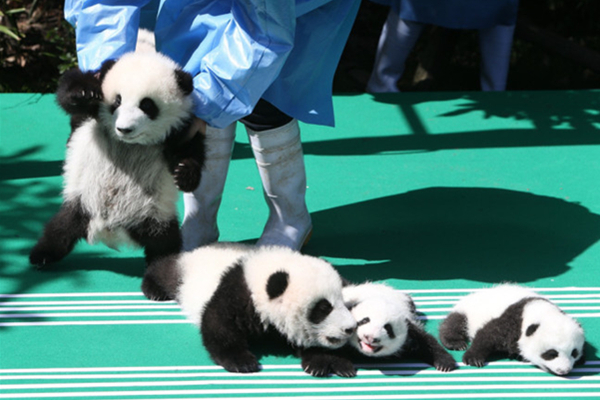 A number of other events have been hosted by the base in recent years to present scientific research on giant pandas, calling on the public to lead an eco-friendly lifestyle.